MxCx Blog: MxCx Interview#15 "ROLY PORTER"
Roly Porter began his career as one half of groundbreaking project Vex'd, releasing a series of singles on the Subtext imprint before moving to Planet Mu to release the classic Degenerate and Cloud Seed albums. 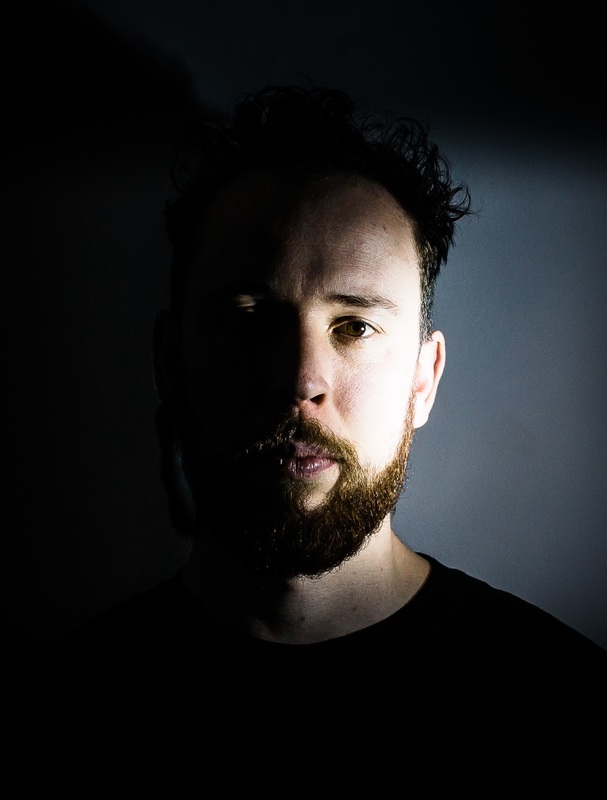 His solo work fuses his background in sound system music with contemporary classical composition and focused sound design resulting in a singular and often harrowing sound. 2011 saw the release of the critically acclaimed LP Aftertime followed in 2012 by the Alderburgh Festival commissioned Fall Back, a collaboration with renowned Ondiste Cynthia Millar. As a composer and sound designer Porter has produced original soundtracks for Big Talk/Film 4's In Fear which premiered at this years Sundance festival and dystopian thriller Interferenz. I grew up in the South East, about 40 miles from London and I lived in London for around twelve years, but I now live in Bristol. You released the new album "Third Law" recently. Could you please tell about the concept of this album? How long did it take to complete this album? How do you feel after finishing its production? You released it from Tri Angle. Could you please tell the reason why you selected this label? techno or breakbeats, more just the sense of pace and energy that you associate with beat based music. I don't see my music as ambient music, but at the same time, you can't dance. The decision to add rhythm was to give the impression of moving through a space a different speeds. The move to TriAngle felt like the obvious choice. It's an amazing label that manages a varied output, but still retains a really strong identity. I was given real freedom to produce whatever I wanted to and this album feels like a natural progression for me. Since when are you interested in music? Which vinyl was your first one to buy? Which work (any kind of such as film, book, art etc) influenced your music mostly? When I was young my Uncle used to pass vinyl down to me. He started when I was around ten, mostly with Blues. I was obsessed with Howlin Wolf, and then later he began giving me Brian Eno records. Music for Airports was an important record and one of the first ones I remember playing a lot. When I was old enough to buy my own records I bought mostly jungle throughout the 90's and spent a lot of my time djing with friends. It wasn't until I was a bit older that I started to collect classical, dub, dancehall, noise, jazz etc on vinyl. I don't have a huge amount of space in my house so have not bought many records over the past few years and I miss it a bit, buying vinyl was a big part of my life. Listening to music on vinyl forces you to give it time because it's a physical act and I think this is important. I know your debut was the project "Vex'd". But what kind of music activity did you used to do before that? Did you dj or gig? Before Vex'd I spent years collecting vinyl and djing, I wanted to be a jungle dj. I started producing music but as a hobby. I used an MPC and made a kind of messy trip hop. I didn't have the patience to finish anything. I love producing now, I am interested in all aspects of music tech, but back then I just wanted to have fun and get trashed. I'd spend the night writing beats, start loads of stuff and then that was as far as it would go, I could never finish anything. Since when are you interested in Grime or Dubstep? By which DJ or artist are you influenced? Im interested in any bass heavy music with power, aggression, identity. Grime has managed to retain lots of it's positive energy and identity while developing over the years, whereas for me Dubstep quickly became to formulaic in general. I think a lot of early dubstep still sounds amazing, particularly Loefah, Goat Stare for example. I like bass music that builds on the history and weight of dub without appropriating it or cheapening it. When did you start Vex'd? How and where did you happen to meet Jamie Teasdale? What was the first impression of him? Vex'ds music had the dark world view which came from Grime and Breaks, but adding a mixture of industrial and noise, I think . Under which concept did Vex'd compose music? Vex'd wasn't really driven by a concept, more just a feeling that the music we wanted to hear wasn't being made at the time and we wanted to fill a gap. We had both fallen out of love with jungle and there was a lot of aggressive breaks music about that wasn't great. I met Jamie at school and we were living together at the time. We shared a lot of similar interests in film and music so writing music together was easy really. As the Dubstep scene hadn't quite formed at that time, we felt we had a lot of freedom to create whatever sound we wanted. While we always felt like outsiders from Dubstep, it was still a very innovative and exciting time in music and there was a huge amount of inspiration and energy around. The first EP of Vex'd z"Lion/ Ghost" was released from Subtext, which is made by you, Paul Jebanasam and James Ginzburg(Emptyset), isn't it? How did you encounter Paul Jebanasam and James Ginzburg? Why did you start this label? There was a big gap between the Vex'd releases on Subtext and the Emptyset, Paul Jebanasam stuff and my solo releases. It's more like a different chapter in the label. It was re-started to provide a platform for those projects and working alongside Paul and James was critical for developing the solo project. While Emptyset and Paul both have a very different sound to mine, the overall sound of Subtext was really strong and gave me both the freedom and confidence to push the solo project as far as possible. Please tell about the process of how the first album "Degenerate" was made. How long did it take? Which equipments did you mainly use? Can you still remember how was your mental state at the time? This album mixed the elements of Grime and Breaks and Dubstep and sampled some parts from Blade Runner, Reggae music and Hip Hop, and all of this made the sound of a different world, I felt. What was the concept of this album? Ah, man. It's a long time ago. I don't have such a good memory! My mental state was probably a mixture of drunk, stoned, paranoid and anxious! I had an MPC and we had an old Mac G4, I can't even remember what software we used. For a while I had an Atari with Cubase but that may have been before Degenerate. My approach back then was very messy, Jamie had a much more professional attitude to production. But your description is right, we wanted to mix Grime, Blade Runner, Metal and Dub into something new. In my opinion we were never really Dubstep. I'm still very proud of that music, even though it's a few years old now. The second album, "Could Seed, of Vex'd has more noisy tracks. Was there any change in your mind? What was the reason that Vex'd stopped its activity after this second album? Last year Vex'd played a live concert on the event of Planet-Mu. Can we expect a new release or more gigs of Vex'd again? We played at the Planet Mu birthday party as a retrospective to celebrate the label. It's an amazing label that's been running for years so we wanted to be part of the birthday. We haven't written any new music together, I hope that one day we will. Playing was a lot of fun, made me realise that part of me misses it. 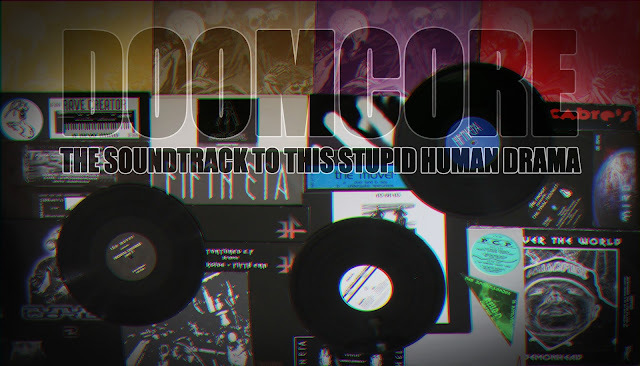 We played some new solo bits that we had and mixed it with stuff from Degenerate era releases. Planet Mu parties are always great, really interesting mix of music and fun, energetic crowd. Mike, U-ziq, played a wicked set. The first solo album "Aftertime" was released 2011. Which opportunity brought you to make the solo album? What was the reason to start the solo project? I was approached by an classical organisation called Alderburgh Music for a collaboration with the the Ondes Martenot player, Cynthia Millar. This eventually led to the live album, Fall Back, but it was the recordings of the instrument that originally set me working on the Aftertime album. The first track I wrote was Tleilax and after I finished that the whole album took shape. Your music creates an amazing sound, featuring both noise and melody very well. How do you manage to control the noise and match it to the track, even if noise has musical scale? I don't enjoy much pure noise music, I need it to be balanced in some way. I find that, especially in a live environment, you can push the elements of noise and aggression much further if they are complimented with at least a small musical element. Creating melodic ideas from noise can be quite interesting. I am not classically trained and there is much about musical theory that I don't understand so I like to look for simple ideas that can be expanded and crushed with noise and sound design. What do you think of Today`s bass music? What do you think of the music of young artists who are active in this scene such as Rabit, Mumdance, Kahn&Neek, Murlo,etc? When I am working on an album I try not to listen to other current music. I want to avoid any influence as much as possible. As soon as I finish I can start listening to music again and now is a great time for music. Genre's are much less defined than they were when I was younger and I think in many ways that's a good thing. Grime has retained a really strong identity and the last year or so has seen some amazing new grime. Mumdance is a really good example of that freedom in music at the moment, he is a hugely diverse artist. I don't go to the club as much as I used to and it's difficult to truly engage with this kind of music if you stay at home. My listening tastes are much more diverse than they used to be so I'm not the best person to commentate on new bass music. I'm old fashioned, I just want Dub! Please tell about the equipments you are using for composing? Wit which process or work flow do you usually compose a track? I think Vex'd or Armour`s music were made under the consciousness of DJ use (140 BPM etc) but Roly Porter`s music was less DJ use and has more conceptional and focused on the composing and the sound image . Is there anything important or anyhing which you care about during the composition? Since I began the solo project the music has been about pursuing ideas and sounds that I am interested in and there are no outside considerations. It was the restriction of producing functional dance music that eventually made me leave club music. For me the idea of beats isn't the main restriction, it is the structure that I wanted to escape, being stuck on the grid. I still primarily use Logic to write with. The instruments are mostly built on a series of string, percussion or vocal recordings that are reprocessed. I use various software samplers, and then move over to the Octatrack for playing live. You released many physical releases like vinyl, CD since Vex'd time. I always buy your work as digital format and still receive the same power from MP3 as physical format. Regardless of quality or price matter, do you prefer the listener to listen to your music in physical format? I can't control how people listen to my music. I can hear the difference between MP3 and wav and I prefer to listen to music on vinyl but that is a personal preference. What I hope is that, regardless of how people listen to the music, they can still become immersed. Music is a throw away commodity these days. I deliberately write longer tunes with less conventional structures in an attempt to convince people to listen to the album, the whole way through. Whenever I take the time to listen to music properly I always get more value from it. It doesn't matter whether you are listening on vinyl through super expensive speakers or whether you are listening to an mp3 on headphones on the train, the thing that matters is that you are listening. What kind of impression did you get from "DOROHEDORO"? Do you have any character or story which impressed you a lot after reading this comic? What concept or image does this track offered by you for this comic have? I loved the books, the idea of the Hole. You could really feel the weight and filth and oppression of living there. There was a lot of humour in the narrative but for the music I just wanted to focus on the grime and dirt and grinding oppression of life in the Hole. Who is the man inside, I need the next book! Please tell us your release schedule for the future. Comments to your fans in Japan? I haven't begun the next album project, I have been developing the live show for Third Law and will begin to perform that from April onwards. I would love to perform in Japan, Japanese films and art have been a massive influence on my music since I first began.